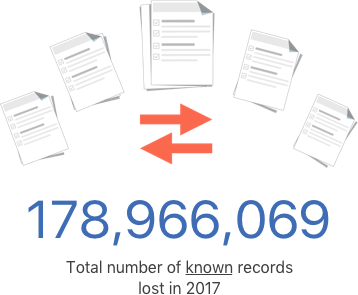 According to the ITRC report, there were more than 1,200 breaches in 2018. 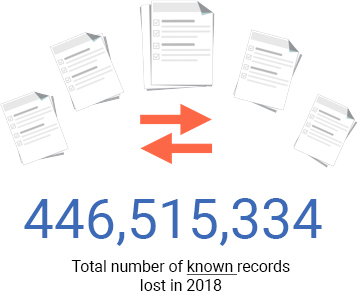 Even with a confirmed 446,515,000+ records exposed, many breaches left the number of compromised records undiscovered.‡ With the massive scale and frequency of today’s breaches, it’s become a matter of when your information will be stolen. Have you checked your identity health? Anything suspicious in your report could be a potential sign of identity theft. Credit-related theft made up about 23% of all ID theft in 2017. If you’re missing mail or receiving notices for things you didn’t purchase, it’s possible that you are experiencing identity theft. These warning signs can be easily overlooked and may be indicators of certain types of identity theft. Any unauthorized transactions, password changes, or newly opened accounts may be a sign of identity fraud. Checking your bank accounts regularly can help, but you may lose access to them if identity thieves change your account information. Don’t turn a blind eye to the steady stream of data breach announcements. Some of these breaches may impact you if they involve: social platforms where you are active, services or subscriptions, or your place of work. 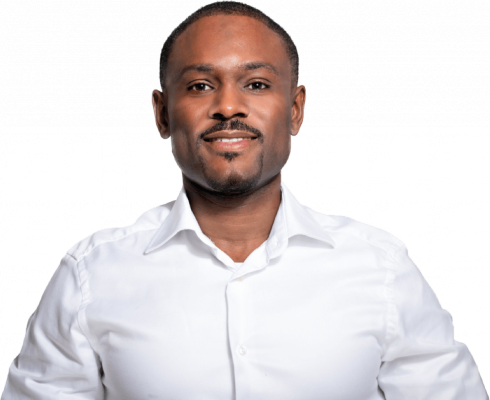 Errors on your medical records or insurance statements should be addressed quickly as they can result in fraudulent medical debt and even lead to dangerously inaccurate medical treatment. Despite the high stakes of medical ID theft, with victims losing more money on average than other types of theft, many consumers are unaware of the risks. If you’re a victim of criminal identity theft you can find signs of it in your criminal record. This type of theft is important to catch early before it can lead to potential legal consequences or loss of employment. Identity thieves may misuse your information in other states and it’s difficult to monitor all the records necessary for detection on your own. Complete ID saves you time by monitoring for potential indicators of identity theft, so you don’t have to worry about overlooking any warning signs. 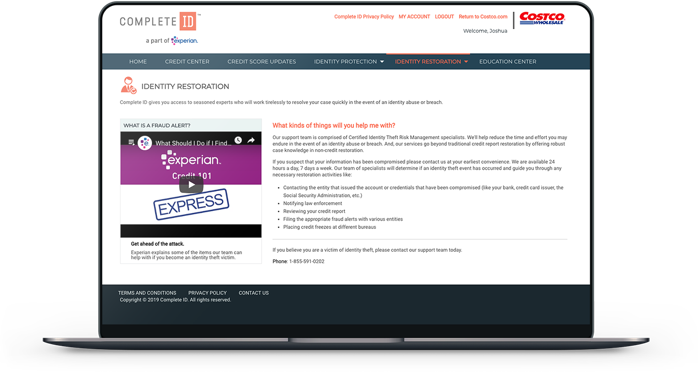 When a threat is found, our team helps you prevent the spread of theft and recover from any damage to your identity. "I found out my identity was stolen when I received an alert from Complete ID stating I had collections from a healthcare provider that I had not used in years. I tried contacting the collection agency but they didn’t help. I tried contacting the healthcare provider but they wouldn’t help either because I wasn’t an active customer. However, with Complete ID, I was able to get assigned a restoration agent the same day. I provided the information he needed and he took care of everything for me within 30 days. He made the process very easy. I recommend Complete ID to other Costco members."